Kozon Plumbing & Heating offers complete residential & commercial plumbing services for our Northern Indiana customers. Plumbing problems are not only inconvenient, but can cause extreme damages to your home. Our team members and technicians understand the severity of emergency plumbing issues and can take the steps needed to provide your family with prompt and thorough service. From simple to complex, our team stands ready with fast 24/7 response time. For those building new homes, remodeling, are just looking to update, our team is equipped to handle all your home plumbing needs from tankless water heaters, bathroom & kitchen fixtures, boilers, handicap accessible amenities, customer shower systems, pex/copper/pvc piping systems, and much more. 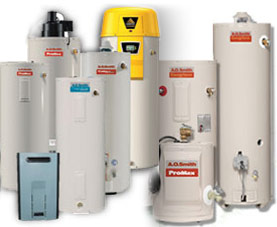 "When it comes to high efficiency water heaters, no one comes close to matching the expertise and innovation of A. O. Smith. Whether you need a gas, an electric, or a tankless water heater, the inventive minds at A. O. Smith have one waiting for you." 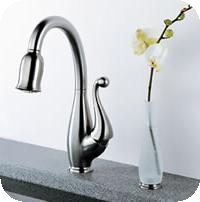 "To the customer, it can seem like each Delta faucet was made with them in mind. We listen closely to what consumers want and need, invest in extensive research and design, and apply smart technological solutions that really do make our customers' lives easier. We are at the cutting edge of product innovation. But we've been there for 50 years now, so we know exactly what it takes to stay there." "Recognized for a strong commitment to service, quality and value, MPP is considered the “Brand of Choice” for professional plumbing contractors and consumers alike. 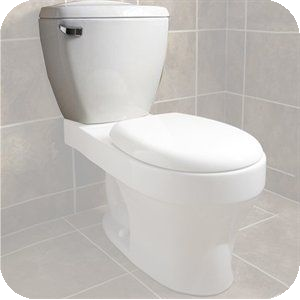 The current line of products include: vitreous china toilets, lavatories and urinals; toilet tank trim; and acrylic air-baths, whirlpools, bathtubs and shower bases." "Since 1873, Kohler Co. has been improving the level of gracious living among its customers by providing exceptional products and services for the home. 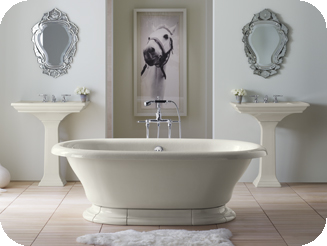 As a recognized global brand, Kohler leads the way in design, craftsmanship and innovation. Kohler's product offering spans across all price points, offering consumers a wide variety of options in kitchen and bath fixtures, faucets, and more." "No AC sump pump will work when the power is out. 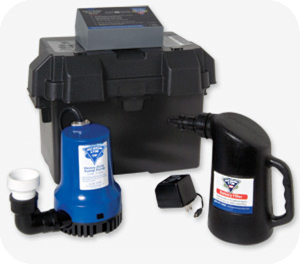 For added protection and peace of mind, install a battery backup sump pump system. 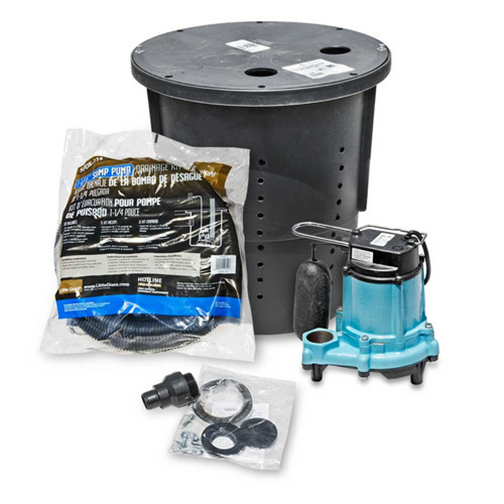 The PHCC Pro Series backup sump pumps have unique monitoring system that sound an alarm when maintenance is needed, or when a problem arises. After all, a backup sump pump system with a dead battery, loose cables, or a clogged pump is like having no backup at all." "Over the years, the words "Little Giant" have become a generic term for submersible pump, because theirs was the "Original", and theirs remains the Best-Made Pump in the marketplace. Little Giant Pumps are often copied, but never equaled in design, quality or performance." Makers of sewage and sump pumps, "Little Giant developed the first small submersible pump, as well as the first pump to operate using a pressure switch in place of a float switch." "InSinkErator® is the world's largest manufacturer of food waste disposers and instant hot water dispensers for home and commercial use. For decades, InSinkErator has been the #1 choice of professionals worldwide. 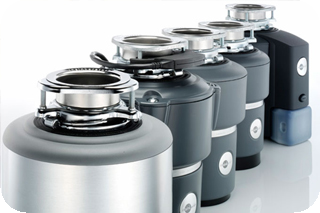 InSinkErator garbage disposals and water products are the most popular worldwide. In fact, InSinkErator is the choice of 9 out of 10 plumbing professionals." When functionality meets art. To most, your home’s mechanical systems may not invoke the images of Van Gogh or Andy Warhol, but to the creative team and installers behind our crew at Kozon Plumbing & Heating, every aspect of what we do can be considered an art form. From the glistening water flow against the shiny silhouette of an expertly installed faucet to the subtle glow of a dimmed can light against a family portrait, the presence of functional art is abounding. Our technicians may prefer a wrench to brush and solder over paint, but the lasting impression of their craft will remain for years to come.